The referee or substitute referee shall inspect the field, flags or markers, and goals to determine that conditions are safe for the game. A referee's decision to declare a field unsafe for play is final and is NOT protestable. The referee shall check all players for proper, non-dangerous equipment and required equipment. At this time the problem of players with identical jersey numbers must be corrected by the coach. 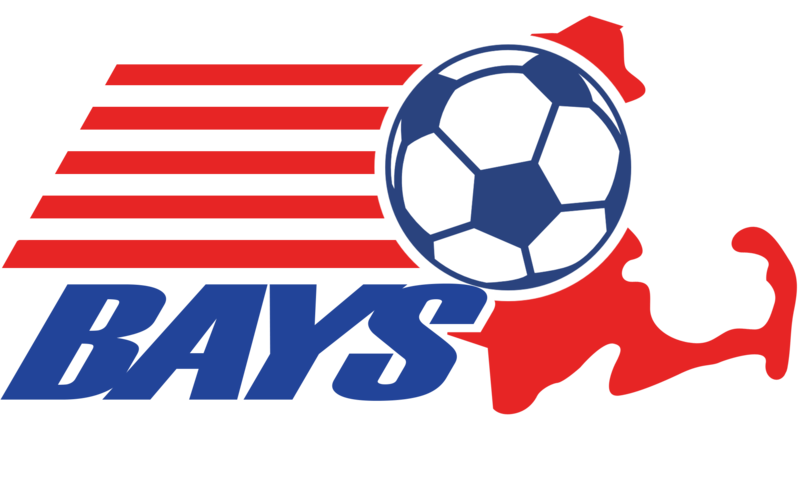 Coaches must provide two paper copies of their BAYS roster/game form exactly as it was submitted to and approved by their division director, to the referee for all games in both fall and spring seasons. Any players not participating in that game must be crossed off the roster. Unique uniform numbers are required and must be filled in or corrected on the roster/game form. The referee must verify that the BAYS roster/game forms accurately list the players and their uniform numbers. Players not listed on the roster may not play. The eligibility of players listed on the roster is not subject to review by the referee. Questions concerning player eligibility (age, residency, dual rostering, etc.) should be referred by the opposing coach to the division director or BAYS registrar. If within fifteen minutes of the scheduled start a team does not have a roster the game can not be played. The division director should assign a forfeit. Each coach shall each be given a copy of the opponents' roster. If a team only brings one copy of its roster, the opposing coach is given the option of reviewing and recording the referee’s roster, and may either require that the game be delayed (up to 15 minutes) until a copy is provided or may waive this requirement. In both seasons, the referee will submit his/her game report on the BAYS website. The referee should retain his/her copies of the team rosters until the end of the season.All adults on the team sideline during the game must present a BAYS or a US Youth Soccer coach's passcard to the referee prior to the game. Such person must be at least 18 years old and older than the age limit of the team. If at any time during the game a team does not have a responsible person with a passcard, the referee shall abandon the game and that team shall forfeit the game. Player passcards are required in the spring season for the following age groups and divisions: all Grade 12 and older; all first and second division Grade 10, Grade 8, and Grade 6 . For games where player passcards are required, each player will present his/her passcard to the referee as the player's name is read off the roster/game form. Players without required passcards cannot play. All coaches' and players' passcards must have a current photograph, and coaches’ passcards must also have a validation sticker for the current year. The referee shall return the passcards at the conclusion of the game, except for any player or coach who has been sent off, in which case the referee shall send that passcard to the BAYS ejections secretary. If a team does not have its passcards by the end of the 15 minute grace period the game can not be played. The division director should assign a forfeit. If a team has not arrived and taken the field ready to begin play by fifteen minutes after the scheduled time, the late team, the division director should assign a forfeit. However, if the referee is willing and both coaches agree without reservation, a game for the standings can be played, provided that valid pass cards (where required) and team rosters are presented to the referee. The coach of the team which is ready to play may alternatively accept the forfeit but offer to play a "scrimmage" game for the enjoyment of the teams. (In this situation, the referee need not stay, but will still be paid.) In either case, the understanding must be made prior to the game and shall be clearly recorded in the game report; and that game must end before the next game on that field is scheduled to start. If there is no game scheduled next on the field or if it is the last game on the field for the day, the length of the game will be entirely at the referee's discretion. The referee's decision is final. No replay for the game is allowed. The winner of the coin flip chooses the end they wish to attack; the other team kicks off first half. The game starts with each team in its own half of the field and the defending players at least 10 yards from the ball until it is kicked-off forward. A dropped ball will restart the game after a temporary suspension of play from a cause not otherwise covered by the rules, at the place where the ball was when play was suspended. The only exception occurs when play is suspended in the goal area. In this case the ball is dropped on the six-yard boundary line of the goal area nearest the spot where the play was stopped.